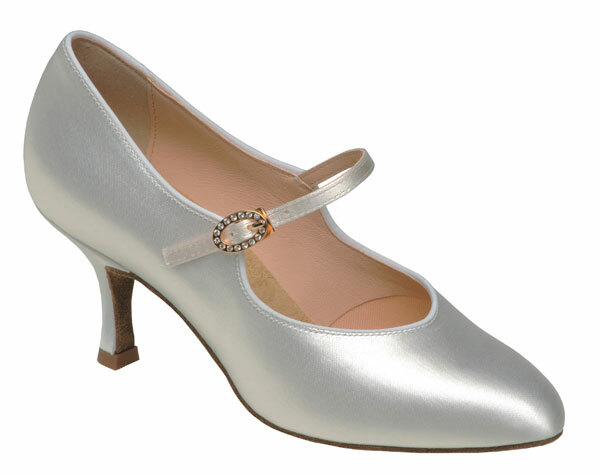 Round toe court shoe, shaped upper and strap with oval diamante buckle. Regular and Wide fittings. UK sizes 2 - 8 inc. half sizes. 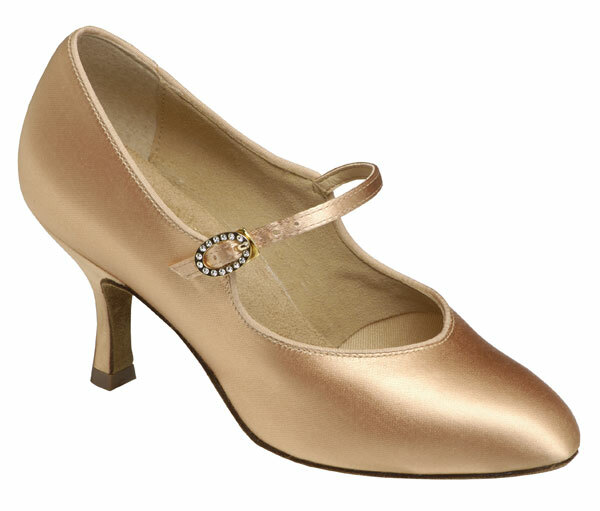 Available in 2" Flare, 2", 2½" & 3" Contour heels. 3" Contour Heel only in regular fitting.